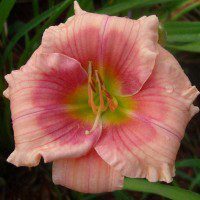 A late season bloomer with light peachy pink tones, this is the perfect bloom to balance out the heat of summer. Fragrant. Thought I shouldn't have ordered it, but wow! 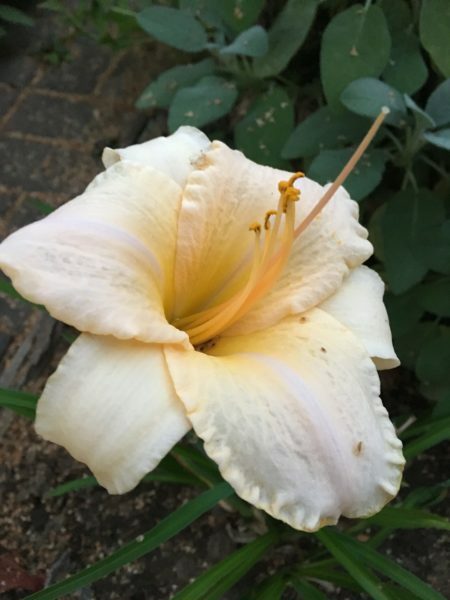 This took years to bloom (and a move) but WOW – this is STRONG and HUGE and VIBRANT! 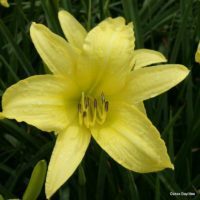 Country Fair Winds blooming in its first season! The plant is obviously still getting established this first year but it looks sturdy and is growing well. Very surprised and delighted to see a number of blooms already in the first season! Received as a free plant and has become one of my favorites! If you like Ruffled Apricot, you will love Country Fair Winds. 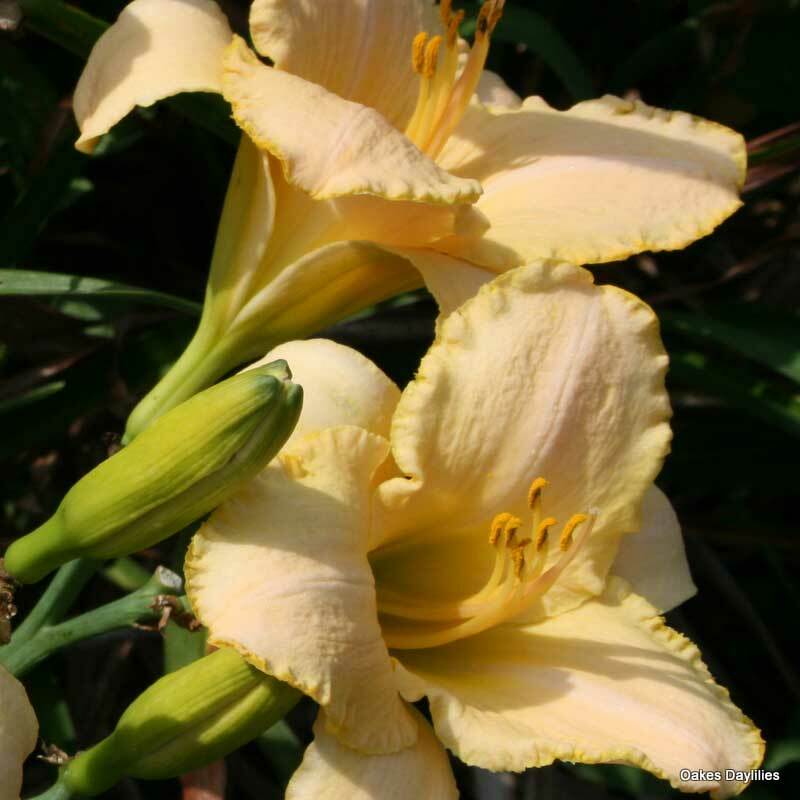 The color in my garden is similar but this variety grows taller. I actually need to divide it but I haven’t because I don’t want to miss out on any blooms! The color shown here is lighter than it actually is. Take a chance on Country Fair Winds! You’ll love it! Blooming like crazy just now! 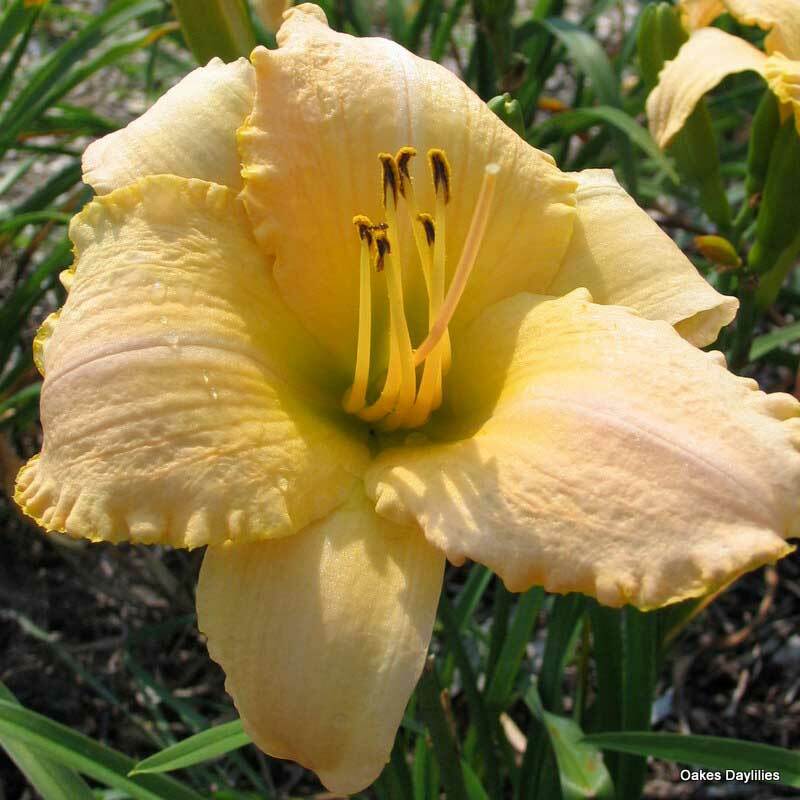 Tall and elegant, and the pastel color is a perfect compliment to its form. Country Fair Winds is a blue-ribbon winner in Ohio. 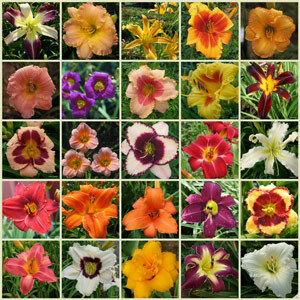 I have somewhere near 90 varieties among my (gulp) over 300 daylilies. 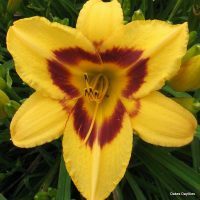 I bought this last year and planted it in a “test spot” – it is even more beautiful than the picture! 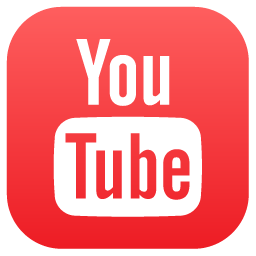 It has such a delicate, almost translucent quality – it needs its own bed – with some twins and close relatives. It is special! Now among my top 5! This lily took a couple of years to come into it’s potential. It was worth it. I have it by a walk and it is best viewed looking down and up close. As others have said, it’s kinda hard to describe unless you see in person BUT it is very beautiful, delicate color and fancy looking. Just lovely! 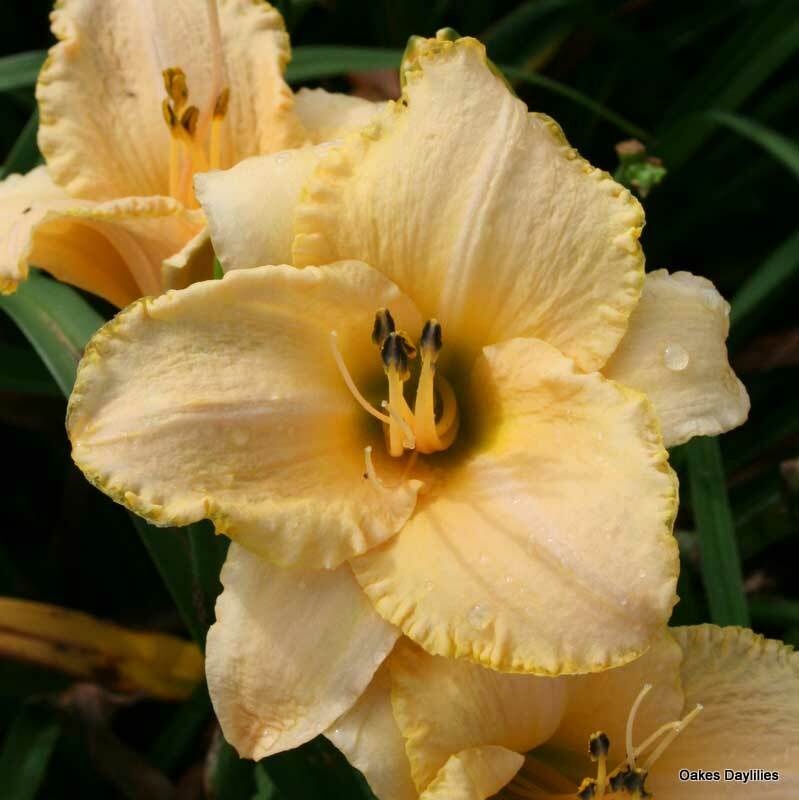 I ordered this daylily because of the low price, expecting to use it as a filler in a corner. However, it has become one of our favorites. While the colors are not as bold as others, it can hold its own in the beauty it exhibits. 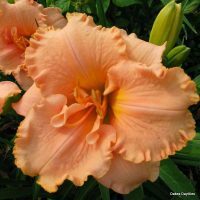 The big flowers with the combination of peach, rimmed in ruffled gold are truly spectacular. Wish I could describe just how beautiful this bloom is when the morning sun illuminates that unexpected combination of colors. This flower is hard to define. The gold ruffled edge is very pretty. I guess if I had to sum up this flower, it would be that it is a quiet beauty that deserve a second look. The flowers are big. Very happy with this one. 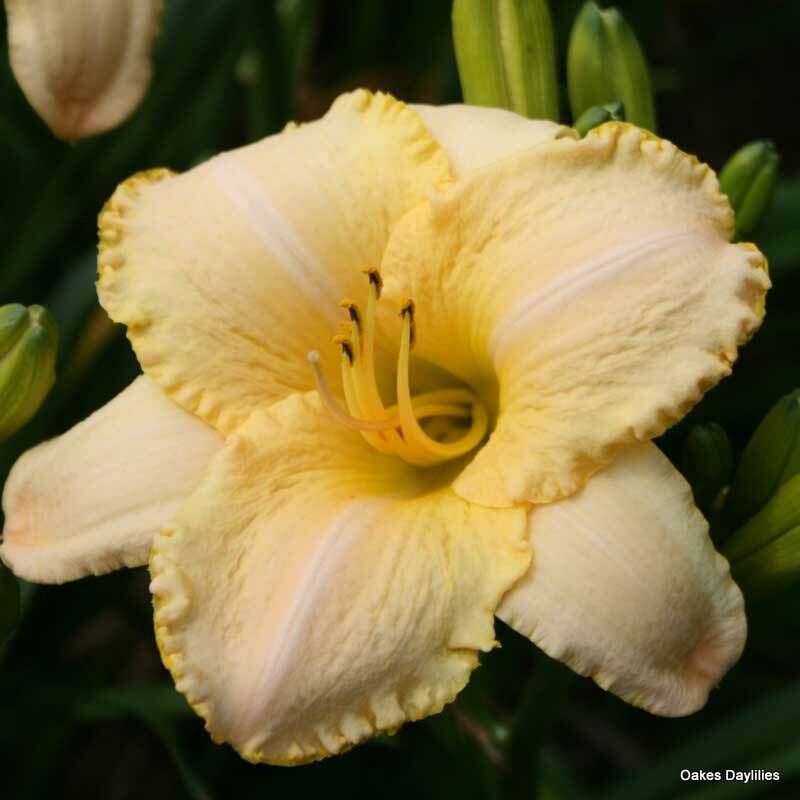 This daylily is absolutely gorgeous!Big,fragrant blooms that stand up to summer storms. I took many pictures of this plant and the foliage still looks great even after continuous days of 100+ degree weather. I highly recommend ‘Country Fair Winds’ to anyone wanting to add elegant beauty to their flowerbeds!